This look turned out pretty disastrously and this was the only shot that I liked in the end, but I do love my Lazy Oaf bodysuit! It was in the sale down to £10 or £15. 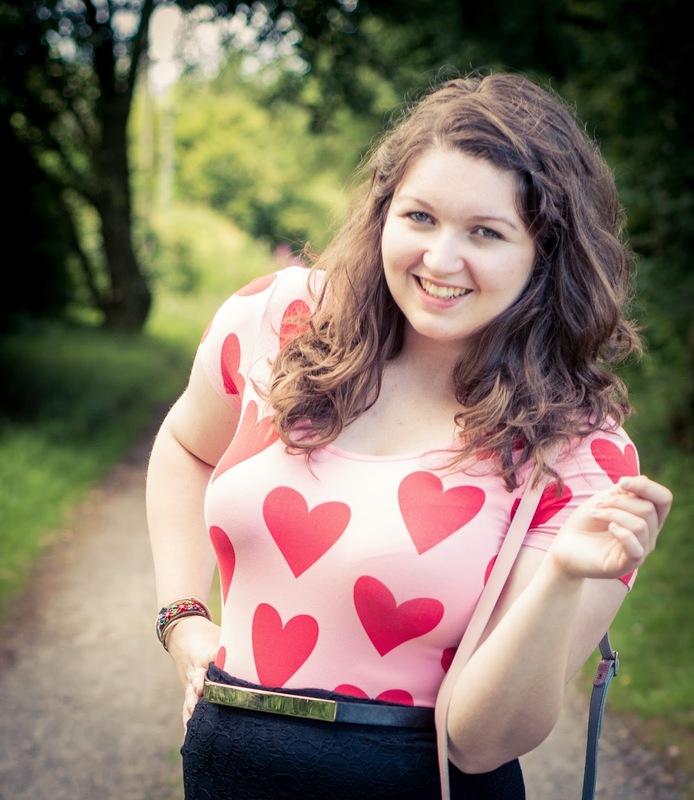 I like the quirky iconography of wearing hearts, it's bold and classic and the same time. Plus there is loads in the shops right now so I thought I would put together a heart themed shopping list!